Hello and welcome to exampundit. 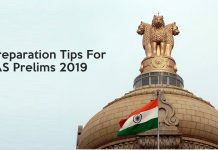 Today we will be sharing some Important Tips on How to start preparation for IBPS 2018. 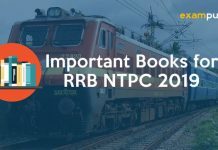 This will help you to kick-start your preparation for IBPS exam 2018. We are listing down 9 easy steps on How to Start Preparation for IBPS 2018. Step 1: Take a mock test! 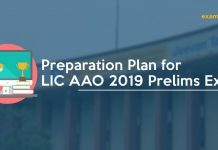 Regardless of whether you are a new entrant to this competitive world or an old player, you need to see your weak and strong points clearly before digging into the pool of preparations for IBPS exams. And do not take this test as exam. Just go through every question in every section and solve only the ones that click in first instance and analyse your speed. Also, go through the detailed analysis/solutions after you complete the test. And note down whatever score you got. This is just the start and there is no looking back. Step 2: Make a list of topics in all sections according to most important (the ones you cannot afford to skip), important (the ones that will help you increase your merit), least important (the ones you can give a shot but not obsess over if they seem to be a bouncer). Step 3: Set a time table. It’s important to be organised if you want to achieve your goals. IBPS exams demand a lot of dedication. Discipline has helped countries conquer wars. This is just an examination for your dream job. So, figure out with which subject you want to start your day or what is the best time for you to study and fix a time table accordingly and be sure to follow it. Step 4: Track your time. For this, you should make a habit of attempting a quiz of the topic you’ve studied earlier that day. Let’s just say that 3/4th of your preparation time should be dedicated to studying a topic and the rest 1/4th should be for taking the quiz. Just put a timer in your phone and try solving all the questions of that small quiz. Step 5: Accuracy is more important than speed in any IBPS exam. Now, let us put it this way. Suppose you do 80 questions out of hundred and you are 99.9% sure that all the answers that you have marked are correct, there are very high chances that you secure 75 or more marks for sure. On the other hand, if you attempt 100 questions but 40 of them are guess work then your marks will come down to 50 or less than that and that too with no surety. So, avoid guess work in any IBPS exam. Step 6: Start learning the short tricks of the topics you have already aced. This will help you save time and put you ahead of your competition. IBPS exams have become all about smart work over hard work over the years. Step 7: Revise daily! With the increasing pile of GK, we kind of forget the importance of revision. Can you forget a thing you read daily for 60 days or 40 days or even 30 days? For learning a thing by heart, 15 times reading is more than enough and it is scientifically proven. And we never get any current affairs of the last 10-12 days prior to the IBPS exam. This just makes the point crystal clear. Step 8: Mock tests are essential to keep a track of your progress and also encouraging yourself when you see a hike in your marks. Pat yourself on the back for every hike or treat yourself with your favorite chocolate. The motive is to keep improving day by day. Trust us, even a slight improvement test after test will result in huge results in the actual IBPS exam. Not to mention, it helps you to figure out sections or topics you still need to cover. Step 9: Keep up with the modifications. 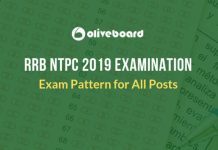 The new patterns of almost every question are being introduced with each IBPS exam. You need to keep up with the changes so it does not come as a surprise for you in your next exam. Also, IBPS tends to follow SBI PO exam pattern. 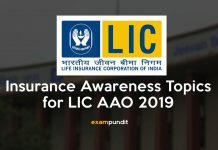 So to ace IBPS PO one should go through the SBI memory based papers, the new types of questions introduced and the level of questions. It will help you triumph half of the IBPS battle. 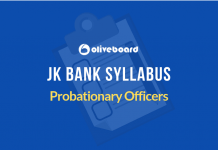 With all the steps above being followed with determination, not even IBPS can stop you from being a banker this coming exam season. So, without wasting time let’s get to work because our dreams are calling us! The article is penned by an experienced professional of Team Exampundit.